Obituary – Wilda, Jimmy Dean « Perry High School Alumni Association, Inc.
﻿Student Council 53-54, Basketball 53-56, Baseball 53-55, Perryscope Staff 55-56. 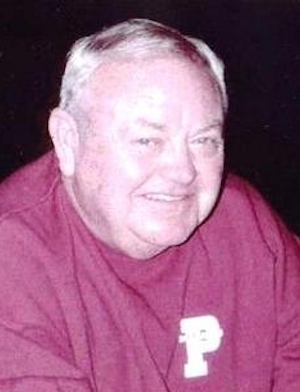 Jimmy Dean Wilda, 71 of Richmond, Texas was the son of Joe and Sally Wilda. He was born on June 16, 1938 in Ponca City, Oklahoma and died Tuesday, April 27, 2010 in Richmond, Texas. 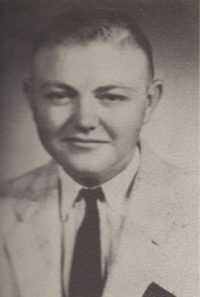 He was a 1956 graduate of Perry High School. After graduation he joined the U.S. Navy and served for three years and was discharged in 1959. He spent most of his working days with R. L. Frailey and finished with Ditch Witch in Perry and retired and moved to Richmond, Texas in 1994. He enjoyed playing cards, golf, wood working and traveling. He is survived by his wife of sixteen years Carolyn, two sons James Kevin Wilda and wife Tammie of Chickasha, Troy Dean Wilda and wife Pam of Perry, two stepsons Scott Wayne Davenport and wife Frances and Craig Steven Davenport and wife Valerie all of Richmond, Texas. Grandchildren Trisha Wilda and Heath Wilda of Chickasha, Brooke, Taylor and Jason Davenport of Richmond, Texas, sister Helen Bristol, brother Bill and wife Alice all of Perry. He was preceded in death by his parents, a sister and two great grandchildren. Per his wishes there will be no formal funeral or memorial service. Memorials may be made to the charity of the donors choice in care of the BrownDugger Funeral Home.